It happened shortly after 1 a.m. Monday. A man, who was visiting from another country with his brother, was approached by another man who asked him for a cigarette. 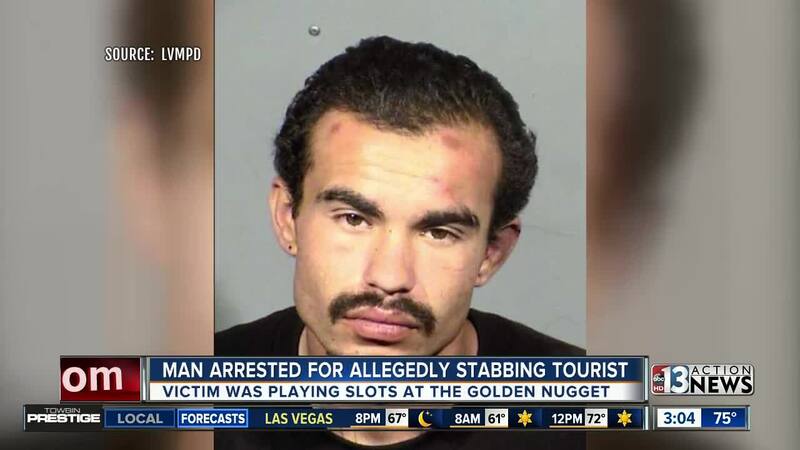 The suspect has been identified as 22-year-old Anthony Oliva-Olsten. He is being held on one charge of battery with use of a deadly weapon resulting in substantial bodily harm. The victim was transported to a local hospital and expected to be discharged later Monday, according to Watch Commander Lt. David Gordon. 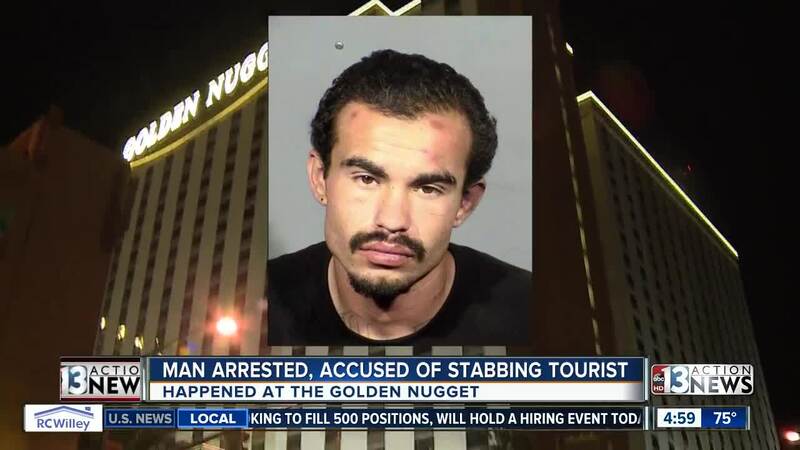 Monday's incident was one of several violent crimes at Las Vegas hotel-casinos, such the Circus Circus stabbing in June and violent robberies at Sunset Station in September of 2017 and February of the same year . 13 Action News Crime and Safety Expert and retired Las Vegas police Lt. Randy Sutton gave some simple tips to avoid this kind of crime from happening. "If you feel threatened, get away from that person. If you're approached by someone be exceptionally weary and always watch the hands. If an individual is asking for your cellphone, give it to them. If they're asking for your wallet give it to them," said Sutton. In a situation where you see a crime occurring, Sutton recommends getting to a safe place, calling 911 and recalling any suspect description.